Husker Du probably never got their fair dues and although they seem to be one of the few bands that haven’t jumped on the reunion bandwagon in recent times (other than for two songs as part of a benefit for Soul Asylum bassist Karl Mueller back in 2004), Bob Mould and Grant Hart seem to have never got over their animosity for each other and in all fairness they probably didn’t have the widespread appeal to make a reunion an all conquering and financial success. 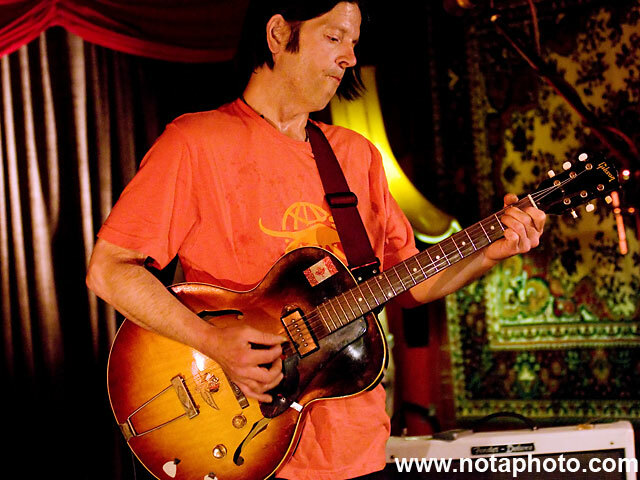 They’re probably much more of a musicians band, evident by a lot of Brisbane musos in attendance for Grant Hart‘s solo gig at The Troubadour tonight, including Robert Forster and various members of Screamfeeder, Halfway and Yves Klein Blue. Although I prefer a lot of Grant Hart’s Husker Du songs over Bob Mould’s, Copper Blue and Beaster by Bob Mould’s post-Husker Du band Sugar are still two of my favourite 1990s albums. Copper Blue was NME’s Album Of The Year in 1992, rated above some fairly notable other albums released that year, although it feels like it’s one of those albums that has been lost to the masses through the ongoing celebration of all things Seattle from that period. 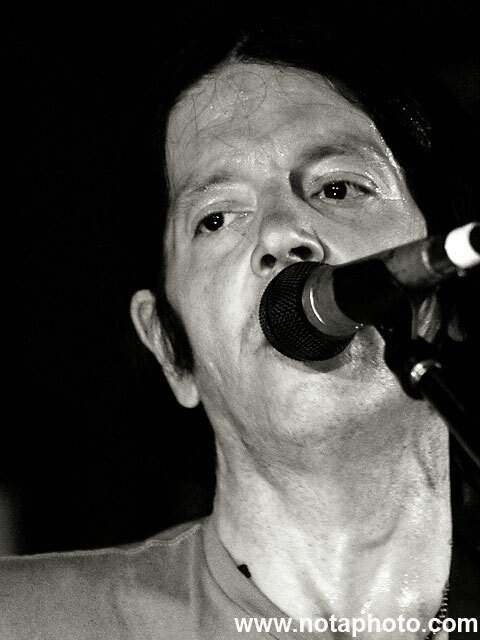 When Grant Hart slips quietly onto the stage and starts playing tonight you can’t help but wonder if it’s going to be a repeat of Evan Dando’s gig at The Zoo last year, with him machine-gunning through his songs with little much in the way of conversation with the audience. At the end of the first song he berates the people sat at the front for being sat down, and follows it up with “I’m a little curious” before playing Don’t Want To Know If You Are Lonely as the second song, something that gets a couple of girls straight down the front for a dance, although they vanish towards the back at the song’s end. As well as the dancing there was much waving of hands in the air, something of an annoyance when trying to photograph and keep to a 3 song limit for good practice. He was due to start at 10:30pm but started a bit after this and didn’t finish up until after 12:20am, what I’d consider a REALLY late hour for a Wednesday night gig; not all of us are students, unemployed or work in media or music industry. There’s much talk at the moment about the state government’s proposed move to make pubs and clubs shut down at 2am, which has raised the ire of a large number of people, the creation of the obligatory Facebook site (over 11,000 members at time of writing), and a call to march on state parliament in opposition to their plans (although it does bring a wry smile to my face that they’ve arranged the march to start at 4pm on a weekday when a large proportion of the population are going to be at work). But, you know, until fairly recently pubs in England shut at 11 and most clubs did at 2 or 3am. And it’s not like the UK is found wanting when it comes to drinking culture and music scenes. The solution is pretty easy; go out earlier. Go the Valley, even on a Friday or Saturday night and it’s not that busy at 8 or 9pm compared to what it’s like at 1am. Go to a gig in London and it’ll be over by about 11pm; it has to be as everyone uses public transport and needs to get home. Headline acts finish in the UK at the time that many of those at Australian gigs are starting. Having been up since before 7am, often feeling tired and knowing that I have to also get up before 7am in the morning often makes going to see a band a lot less enjoyable than it should be. To me, the recent Marianne Faithfull gig that was all over by 10pm on a Saturday night was great; it started at a sensible time (8pm, although admittedly there was no support) and ended at a sensible time and I had the option to stay out or not. Likewise Ric’s having earlier shows (although to be honest set times at 7pm and 8pm probably is slightly too early) has to be a good thing; there have been plenty of bands play there over the last few years that I had planned to see but didn’t want to stay out all night and ended up being too settled to want to go out at 10pm on a weeknight to see. Anyway feel free to comment. 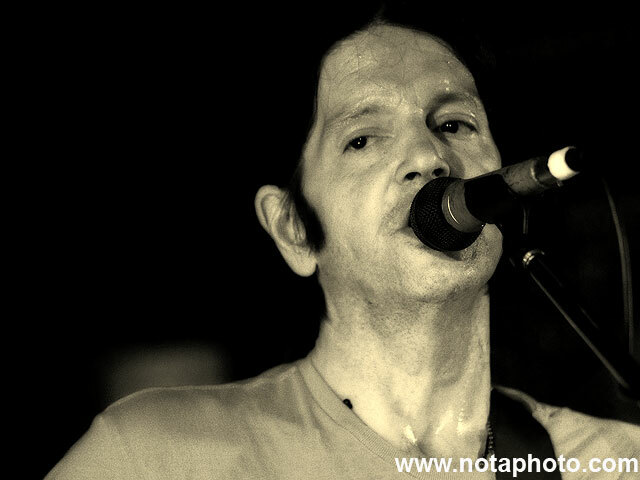 A few more Grant Hart photos on Flickr. This entry was posted on Sunday, March 7th, 2010 at 1:06 am. 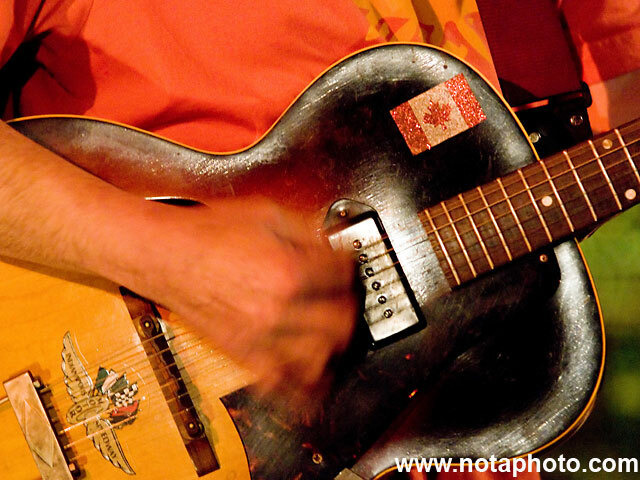 It is filed under Music Photography and tagged with Brisbane, Grant Hart, Husker Du, Justin Edwards, Rave Magazine, Sony a700, The Troubadour. You can follow any responses to this entry through the RSS 2.0 feed. You make some really good points that people tend to ignore. I very much support earlier gigs especially during the week. I find that I have pretty much stopped going to gigs during the week unless it is a band that I really really want to see or they have an earlier starting time.